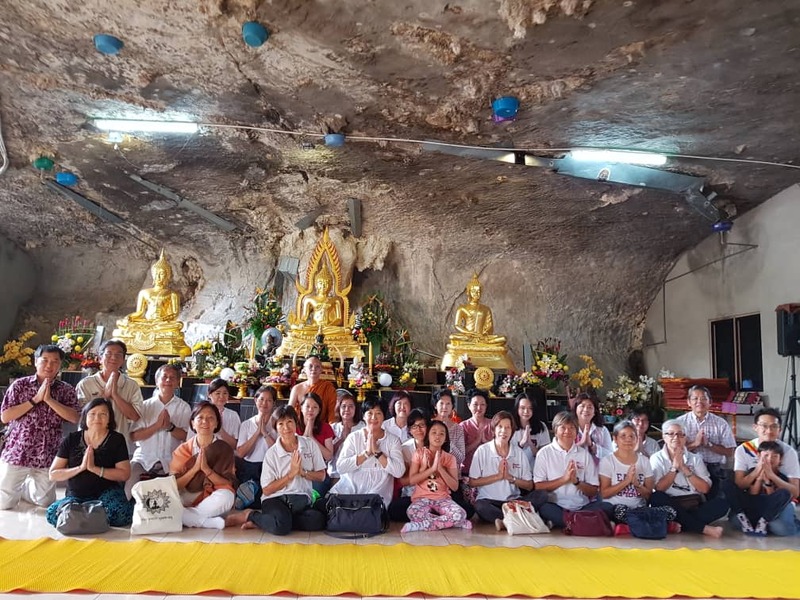 A day trip was organised on 24th November 2018 by Sister Dolly Teoh to Ipoh, Perak. This was the final trip organised by her for 2018. There were 30 participants with ages ranging from 76 years old to 7 years old. The trip was led by Brother Richard Moo. We gathered at Wat Chetawan Temple, Jalan Gasing, Petaling Jaya at 7 am where the coach bus was waiting for us. The journey began at 7.30 am. The traffic was clear as it was the beginning of the school holidays. During the journey Brother Richard had an ice-breaking session where participants we requested to go to the front and introduce themselves. It was a great session for all of us to get to know one another. Brother Moo also gave a briefing of the itinerary for the day. Our first stop was Dhamma Piti Meditation Monastery at Desa Lang Indah, Ipoh, Perak. On arrival, we were greeted by Sister Susan, Sister Kit Wan and Brother Yen Hoe. We were invited to have breakfast which was brought by devotees as dana to the monastery. We also toured the compounds of the temple and took many photographs as the scenery was breathtaking. We were very blessed as the abbot of the monastery, Bhante Tikkhanano was present on that day and we were given a Dhamma talk by Bhante. 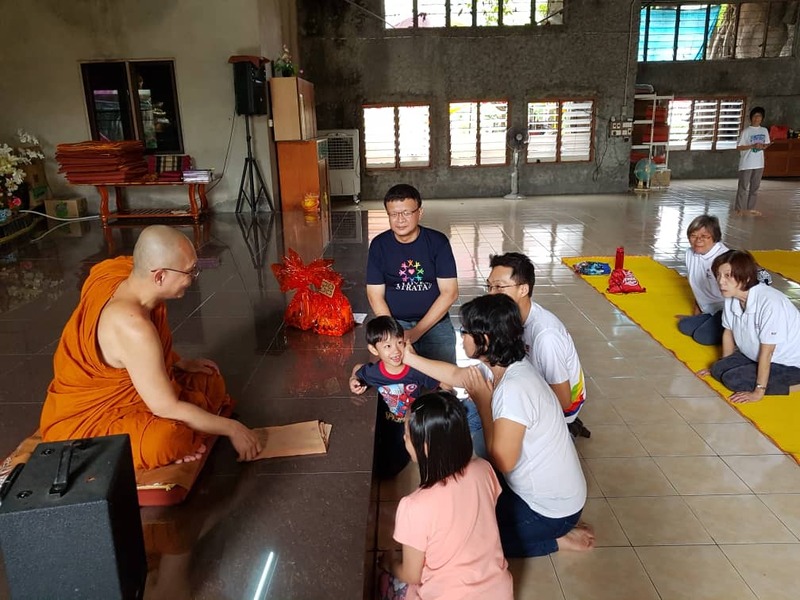 Before beginning the talk, Sister Dolly presented requisites to Bhante on behalf of Buddhist Gem Fellowship (BGF) and also donations by the participants of the trip. Bhante advised us to keep our 5 precepts on a daily basis as we will naturally developed a good aura which will protect us wherever we go and will also lead us to a good rebirth. Bhante also shared his encounters with the unseen beings and advised us not to be afraid of them and to radiate metta to those unseen beings. By radiating metta, no harm will befall onto us. The Dhamma talk ended at 12pm. Bhante wish us well and a safe and enjoyable trip but to be mindful of our cravings and not to over indulge. He invited us to visit the monastery more frequently in the future. Sister Dolly also extended her invitation to Bhante to visit BGF and to give Dhamma talks. Our next stop was to a shop called 362 at Jalan Gunung Rapat which sells yummy maltose filled biscuit (“Heong Peah”). 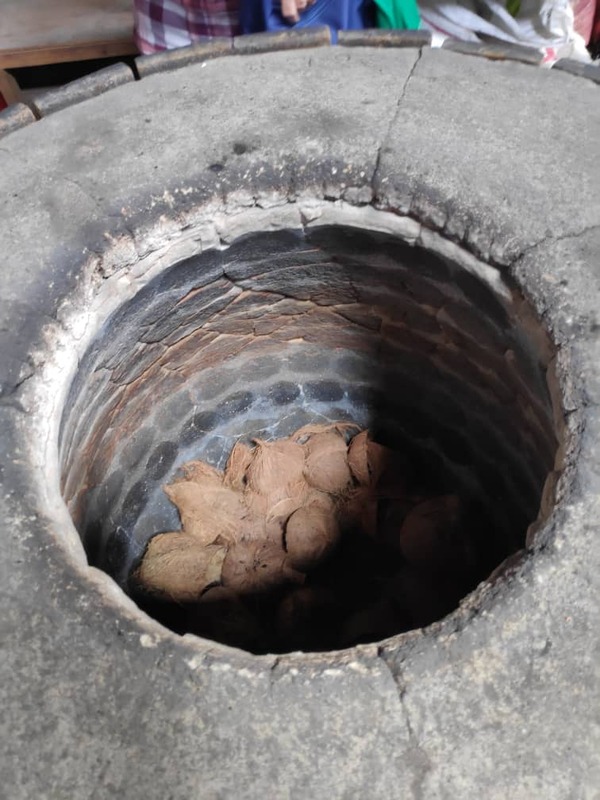 This shop’s speciality is the way the biscuits are baked with charcoal in outdoor cylindrical shaped ovens and coconut husks are used to heat the ovens. Thereafter as it was lunch time, Brother Richard brought us to Taman Jubilee which is one of the older parts of Ipoh. There are many famous eateries and shops in that said area. One of which is the famous kaya puff sold at Kedai Biskut Sing Eng Heong. Brother Richard helped to purchase 42 boxes in total of the kaya puffs for us and we are most grateful to him as we need not wait in the long queue. 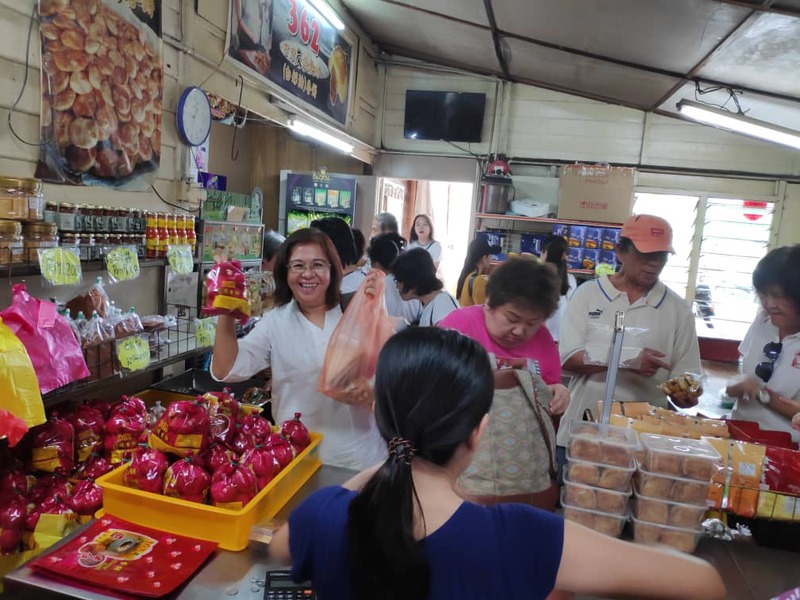 We are also grateful to Sister Winnie for recommending Aun Kheng Lim Salted Chicken as it is also one of the specialty of Ipoh. Another specialty is the soya bean milk and “tau fu fah” and the shop famous for this is called Funny Mountain Tau Fu Fah. We spent 2 hours exploring Taman Jubilee before heading to our next destination. On the way home, our last stop was Limau Tambun Niu Kee. This shop is famous for its juicy pomelo fruit. It also sold other types of fruits, biscuits and coffee. We were treated to a variety of freshly cut fruits and some even had a cup of coffee. We started our journey home at about 4.30pm and arrived back at Wat Chetawan at 7pm. The journey home was smooth as our bus driver was very attentive and careful in his driving. We are grateful to him for providing us with such good service during the whole trip. It was an enjoyable and memorable trip as a whole and this was made possible by Sister Dolly and Brother Richard.